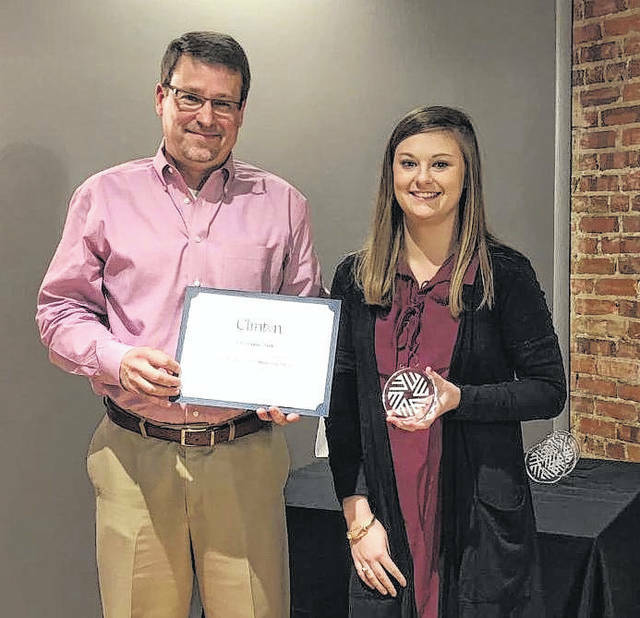 The Clinton Main Street Program recently recognized the people whose efforts contributed positively to downtown Clinton in 2018, handing out awards for improvements, partnerships and programs during its annual banquet. 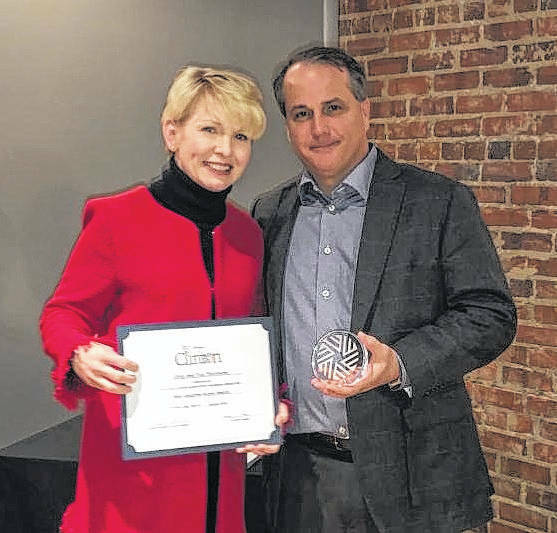 Clinton Main Street manager Mary M. Rose, the City of Clinton’s planning director, gave her annual report and presented awards during the Tuesday event at Alfredo’s. She expressed her appreciation for those in attendance — 65 in all — and their role in helping Clinton’s program create a vibrant downtown through special events, public art, beautification and public/private investment. 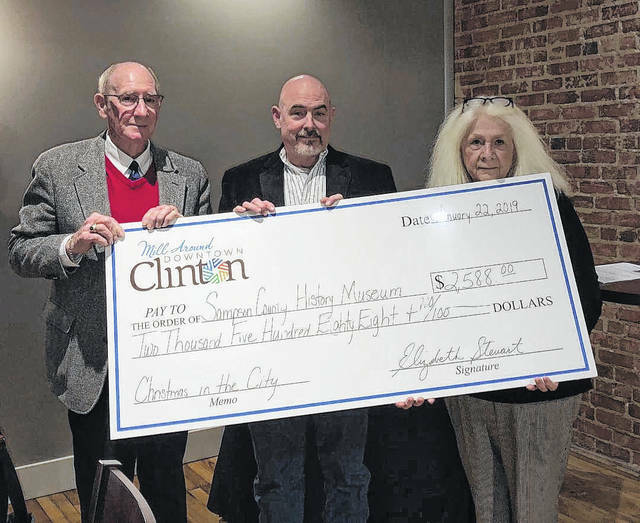 “The banquet is a way for the city to spotlight the Clinton Main Street Program and the accomplishments of our volunteers, businesses and property owners, while also presenting awards in different categories for projects or support shown in 2018,” Rose stated. The Taylor family was presented with the Legacy Award, given to a downtown property owner who’s owned their property for five years or more, and “has proven that they best embody the essence of downtown” — friendly, personal, neighborly and supportive of the community. The Taylor family has had a presence in downtown Clinton since the early 1950s when Cary Buxton “Buck” Taylor Jr. moved from Raleigh to Clinton after purchasing Hubbard Insurance Agency, now the Taylor Agency. Taylor acquired other properties in downtown Clinton over the years and was assisted by son Cary Taylor with management of these properties. In 2018, Cary Taylor improved the side wall of the Powell’s Insurance building in partnership with the Clinton Main Street Design Committee. Taylor received project funds, a Clinton Main Street Program Façade Grant and a Clinton-Sampson Chamber of Commerce Façade Grant, while also contributing private funds to complete the wall improvement project. A first alleyway public art project will take place thanks to that revamp and the final donation from the Downtown Dash Committee. Sampson Community College Welding Program received the Public Art Contribution Award, bestowed to a partner that contributes resources to advance public art in Downtown Clinton. College officials partnered with the Clinton Main Street Program in 2017 and 2018 to create a millstone and other pieces of fabricated metal art installed at the Downtown Recycle Art Walk (DRAW) on Ferrell Street and the Go Bark Park on Fisher Drive. The Volunteer of the Year Award, given to a person who gives of themselves to the Clinton Main Street Program, was presented to Alice Tann. 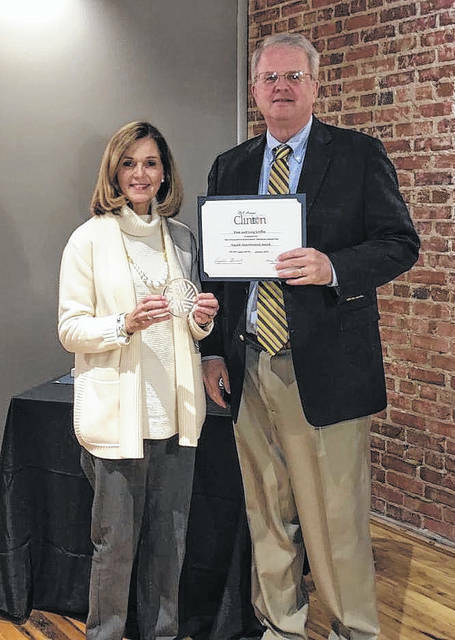 The Facade Improvement Award recognizes significant improvements that provide a “positive, aesthetic improvement to all of downtown.” Pam and Greg Griffin were honored in the category for their façade improvement project at 209, 211 and 213 E. Main St., part of downtown Clinton since 1905. The corner building, currently occupied by Butler and Faircloth Insurance, originally served as a post office. Greg Griffin, Attorney at Law, has been located at 211 E. Main St. since 1980. The Griffins purchased the buildings from George Wilson in 2003. Darue and Darlene Bryant and Greg and Eva Thornton were each presented with Best Adaptive Reuse, in recognition of a reuse of an older site or building for a new purpose. Both projects were so notable, two awards had to be given, Rose stated. The Thorntons were honored for their investment at 109 Wall St., purchase in 2017 and upfitted to accommodate Soaps by Jess in 2018. The building was occupied by Clinton Hardware Company as early as 1916. The Gem Theater occupied the building from the 1930s until the early 1950s. The Glamour Shop occupied the building throughout the 1960s and 1970s. The Thorntons’ investment, and addition of Soaps by Jess, will continue to make the downtown a “vibrant shopping destination,” Main Street officials said. 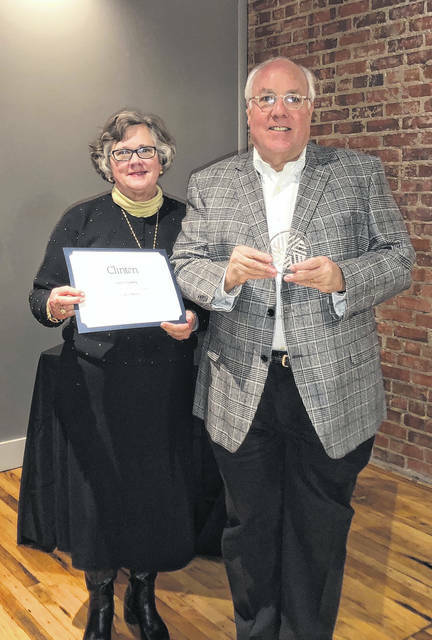 Ed Carr was honored with the Public/Private Partnership Award, given to someone whose complementary design improvements to their building or property adjoins a city property or public right-of-way. Carr was recognized for improvements to his property, adjacent to the recently refurbished ACE Plaza parking lot owned by the City of Clinton. Carr improved the parking area with new concrete and accent pavers, while renovating 208 Lisbon St., to include comprehensive exterior and interior work. The building is one of two identical buildings associated with a previous auto dealership, now occupied by a nail salon. Owner Dodd Brown serves on the Main Street Program’s Promotion Committee and most recently offered his limo to help in the Small Business Saturday Brunch & Bows event. 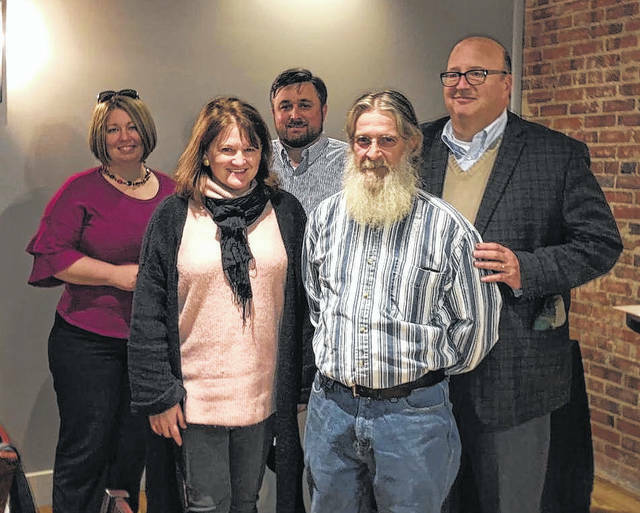 Given to a person, business or organization for any cause the Main Street Program wishes to acknowledge, this year’s ‘Thank You’ was given to Dwight Williams. 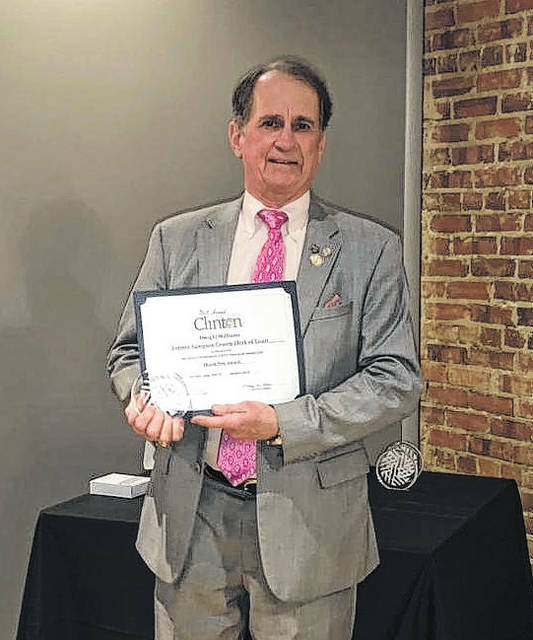 Former Sampson County Clerk of Court, Williams was honored for his contributions during his tenure, during which he went to downtown business and property owner meetings and listened to concerns about parking needs of the businesses and citizens. 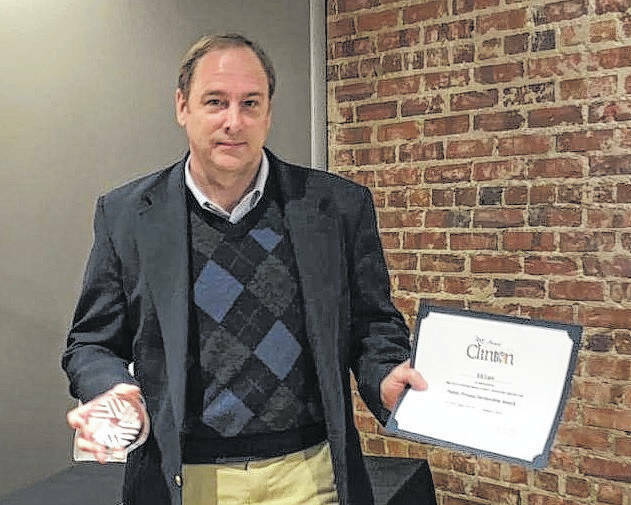 “We thank Mr. Williams for making good use of the time he served as Clerk of Court to make meaningful improvements which have benefited government, commerce and the citizens of Sampson County in downtown Clinton,” Main Street officials stated. Presented to a partnering business or organization that goes “above and beyond” during Main Street-sponsored events, the Event Partnership Award went to St. Paul’s Episcopal Church. The church, located on W. Main Street, has been a regular participant of Christmas in the City in recent years, holding candlelight tours and offering lessons and carols. The first church was completed and consecrated in 1872 only to be destroyed by a hurricane in 1880. A new building consecrated in 1899 was destroyed by fire in July 1902. Worship today continues in the third church building, which has been established since the end of 1902. The Public Art Contribution Award went to Sampson Community College Welding Program representatives. 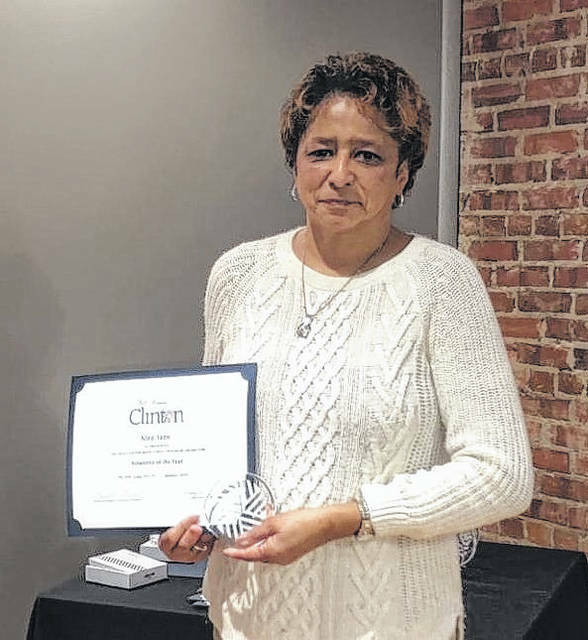 Alice Tann was recognized as the Clinton Main Street Program Volunteer of the Year. The Façade Improvement Award went to Pam and Greg Griffin. Darue and Darlene Bryant were honored with the Best Adaptive Reuse Award. Greg and Eva Thornton were honored with the Best Adaptive Reuse Award. There were ‘two equally significant projects’ so two awards in the category were handed out. The Public/Private Partnership Award went to Ed Carr. Dwight Williams, former Sampson County Clerk of Court, was bestowed the Thank You Award. 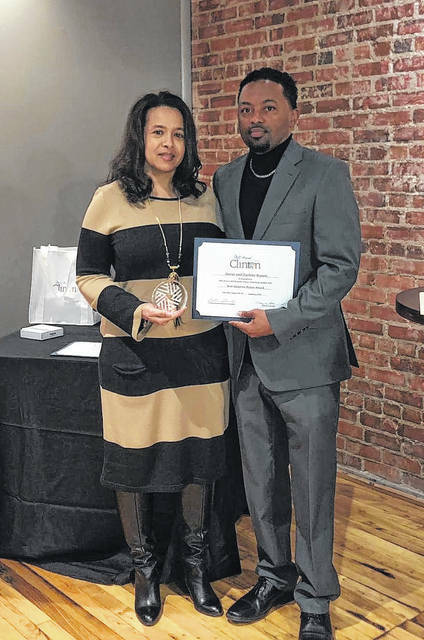 Mr. and Mrs. Cary Taylor accept the Legacy Award at the annual Clinton Main Street Program banquet on Tuesday. The Taylor family has had a presence in downtown Clinton the 1950s. Dodd Brown, owner of A Boutique Outlet, and employee Courtney Barber accept the Best Promotional or Marketing Effort Award. 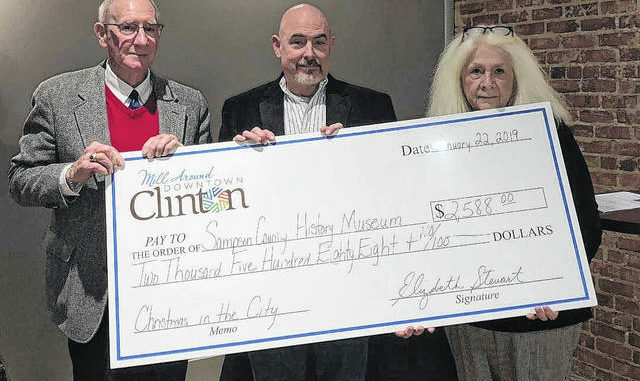 Sampson County History Museum board member David King, executive director Chris Woodson and board president Kay Raynor accept the 2018 Christmas in the City donation to the museum. Funds raised from carriage and hayrides provided by Kyle’s Farm, Hubb’s Farm and Phil Hudson and friends totaled $2,588. Editor Chris Berendt can be reached at 910-592-8137 ext. 2587.